The long-awaited day of reckoning for Panama’s former president Ricardo Martinelli will begin with an oral hearing on Tuesday, March 12, at 9:00 a.m. He is accused of alleged crimes of inviolability of secrecy and right to privacy, and embezzlement of the public administration. The Public Ministry has assigned prosecutor Ricaurte González, who is in charge of the Second Prosecutor's Office Against Organized Crime, to be responsible the case that involved wiretapping of over 150 political opponents, journalists, business persons, judges, and lawyers. The announcement was made on Monday after the files of the case were received from by the office of Supreme Court Judge Harry Diaz. 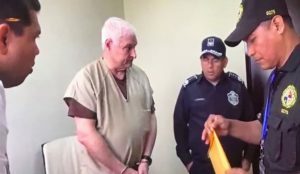 Díaz was the original prosecutor of the Martinelli case and had asked for a 21-year sentence. The Public Ministry reported that the prosecution "has reinforced this office with specialized prosecutors in the matter to address this process in the Accusatory Criminal System. 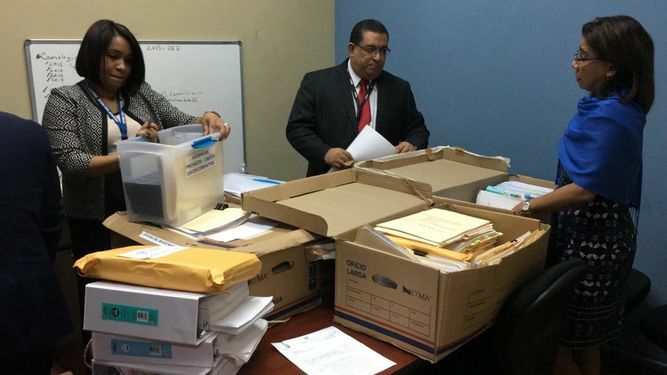 (SPA)"
"The delivery of the files was in charge of Eyvis Jaén, who acted in the intermediate phase as deputy prosecutor of the case, and on behalf of the Public Ministry, the documents were received by the undersecretary-general, David Díaz, the superior prosecutor, Ricaurte González, and the prosecutors. of Organized Crime, Rosario Ortega and Elizabeth Carrión, "said the Judicial Organ. On December 7, the plenary of the Supreme Court of Justice declined jurisdiction of the case. Martinelli who is still aiming to run for mayor of Panama remains in detention at El Renacer prison where he has been since his extradition from the United States on June 11, 2018. He had been in a Federal detention center for a year after being arrested in his Coral Gables, Miami mansion.